Surrounded by the Colorado Rockies, the Roosevelt National Forest, and Rocky Mountain National Park, you can spend your entire vacation at Allenspark, CO just taking in its stunning natural environment. No trip to Allenspark is complete without driving the length of the Peak to Peak Scenic Byway, exploring the inspiring Chapel on the Rock, or visiting the historic Eagle Plume trading post. Colorado is home to twenty-six scenic and historic byways, and the Peak to Peak Scenic Byway is one of the best ways to experience the rustic beauty of the land. Spanning over 55 miles, it would take you two hours or more to drive the entire length of the byway. Many visitors take much longer as they stop and take in all of the views and attractions within this mountain town. 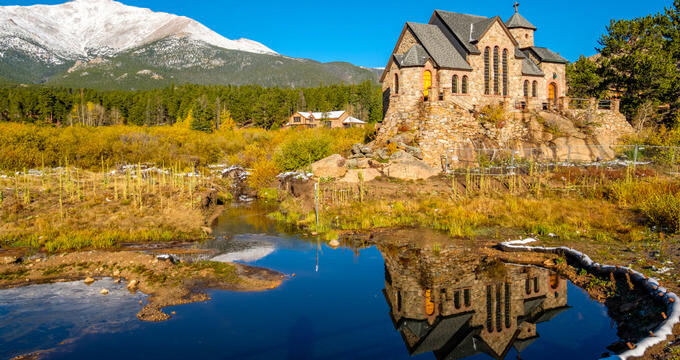 As you drive through the stunning panoramas of Rocky Mountain National Park and Estes Park, you’ll also see a number of unique retail stores and restaurants. Historic sites along the way include the still-functioning Moffat Tunnel, the Central City Opera House, and the ghost town of Apex. 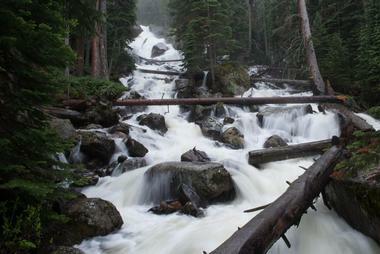 Situated within Rocky Mountain National Park, one of the best ways to access Ouzel Falls is through the fairly remote Wild Basin Trailhead. The trail is approximately 5.4 miles roundtrip and is a moderately difficult hike. You’ll see some amazing flora and fauna and several attractions along the way such as the Calypso Cascades, Copeland Falls, and the North St. Vain Creek. Ouzel Falls itself is an impressive waterfall that towers over 40 feet high. The hike is completely worth it once you see the breathtaking waterfall before you. Be on the lookout for water ouzels, which is a small bird known for bobbing and diving along the rocks and underwater in search of food. 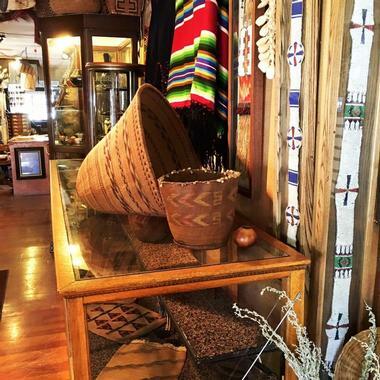 Established in 1917, Eagle Plume’s is a historic trading post which can only be found if you decide to journey off the beaten path. Doing so is worth it, as you’ll be able to explore one of the best kept secrets in the area. Eagle Plume’s is home to the Charles Eagle Plume Collection of Native American Art - this collection has over a thousand historic and prehistoric pieces of art from several indigenous tribes across the United States and Canada. In addition to these, the trading post also specializes in contemporary arts and crafts of Native Americans. These works range from jewelry and textiles to basketry, ceramics, beadwork, and sculpture. 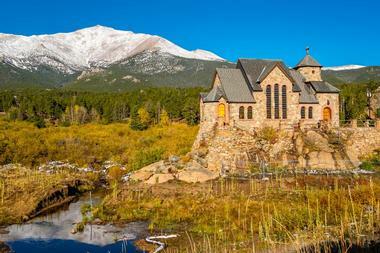 Officially named Saint Catherine of Siena Chapel, Chapel on the Rock is an operational Catholic chapel that can be found on what was once the Catholic Archdiocese of Denver’s Saint Malo Retreat, Conference, and Spiritual Center. The chapel, which is somewhat of a tourist landmark in Allenspark, was over twenty years in the making before it was finally completed in 1936. The serene and inspiring location was even visited by Pope John Paul II who came in 1993, prayed in the chapel, and blessed it afterwards. Though the chapel is still open, visitors will no longer be able to see the retreat as it was destroyed during a fire in 2011. The Old Gallery in Allenspark is a non-profit, fully volunteer-driven community center that focuses on the arts. It is home to several local and regional Colorado artists who go to The Old Gallery so they can create, display, and sell their work. Residents and visitors go there throughout the year to participate in classes like yoga, memoir writing, sculpting, painting, and more. Musicians, bands, and other performers use The Old Gallery as a platform to share their creations with the community. You can even learn about the area’s history, culture, and wildlife through their Rocky Mountain 101 speaker series. 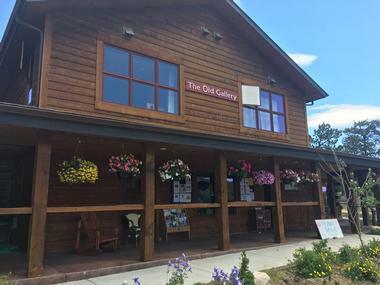 With so many lectures, classes, performances, and exhibits dedicated to wellness and the arts, The Old Gallery in Allenspark is a must-visit when you’re in the area. 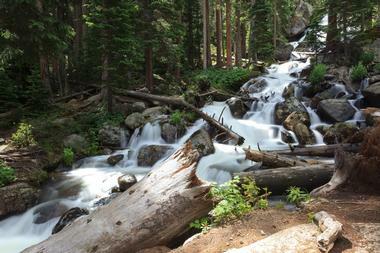 The 200-foot high Calypso Cascades can be found situated within the rich Rocky Mountain National Park. To get to the cascades you will have to hike through the Wild Basin Trailhead, but the hike is rated as being fairly easy and is only 3.6 miles in distance round trip. One of the best times to visit is during the spring run-off, around late June, as this is when the cascades can be seen roaring. During the rest of the year, the flow of the cascades is pretty unimpressive, but you’ll still be able to experience the stunning flora and fauna of the park throughout the hike. 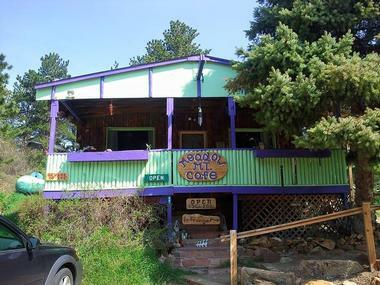 Meadow Mountain Cafe prides itself on being a homey, backwoods, hippie-styled restaurant that serves up some seriously delicious food. 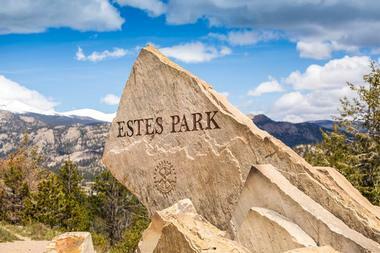 It’s one of the best places to stop by for a hot meal after a day of exploring Rocky Mountain National Park. The restaurant also serves breakfast, making it a great spot to feast prior to your hiking adventure as well. As you walk in to the restaurant, it’s common to see a friendly dog or two outside and smiling staff waiting to serve you on the inside. The food, atmosphere, and surrounding scenery of Meadow Mountain Cafe is incomparable. It is a true locals’ hangout if there ever was one and is a great place to meet and get to know the residents of Allenspark.